^ "Hundreds formally join Anglican Ordinariate". Independent Catholic News. March 9, 2011. Retrieved 1 March 2012. ^ "London: first anniversary celebrations for Ordinariate". Independent Catholic News. January 10, 2012. Retrieved 8 March 2012. 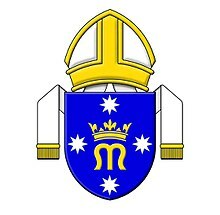 ^ "Anglican Church in America (TAC) Elects Suffragan Bishop | VirtueOnline – The Voice for Global Orthodox Anglicanism". www.virtueonline.org. Retrieved 2019-02-05. ^ "Dedication of New Chancery Building". 19 Jan 2015. Retrieved 3 Feb 2015. ^ "Visiting the New Chancery". 4 Jul 2014. Retrieved 3 Feb 2015. ^ "First Anglican ordinariate established in Britain". Catholic Culture.org. January 15, 2011. Retrieved 8 March 2012. ^ "Personal Prelatures cann. 294–297". Vatican.va. Retrieved 2013-10-14.